2. GMail — My email. I actually receieve in a client, but I still use the website while away. 3. Google Docs and Spreadsheets — For at school. 4. Stumbleupon — I prefer it over social bookmarking. 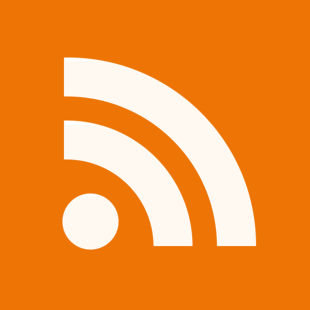 – Safari for RSS as well as being my first choice browser. I’ve tried a couple of stand-alone readers (most notably Vienna), but I keep going back to Safari. – .Mac. It has its detractors, but I really like the functionality of its webmail, and the way it just works seamlessly with the iApps. When my daughter was born last August, I had an album of her first photos published on the web within a oouple of hours. Also, I find the synching feature really handy. – Yojimbo. Not sure if this meets your definition of a Web 2.0 app, but having discovered it a few months ago, couldn’t live without it now. –Box.net. A little extra off-site storage is always a good thing. â€¦ and Skype, of course. … and YouTube and Blip.tv – the two video sharing services I use. This was going to be a very long list, so I’ve cut it down to just the “bare necessities”. – WordPress, for my blog. – Zooomr, for my photos. – Newsvine, for my news. – del.icio.us, for some of my bookmarks. – Remember the Milk, for my to-do list. – Bloglines and NewsGator, currently battling to be my #1 feed reader. – Google Personalized Home and Netvibes, currently battling to be my #1 start page. – Google Video, YouTube, and QuickTime Movie Trailers, for my videos and movie trailers. – iTunes, for my music and podcasts. – Google Docs and Spreadsheets, for my docs and spreadsheets. – Google-Yahoo Traffic Maps, to view current U.S. traffic conditions. – Inquisitor, for when I’m too lazy to open more than one search engine. – Wikipedia, as a [frequently] reliable encyclopedia with an abundance of information. – EcologyFund.com, not necessarily “Web 2.0”, but every little bit helps. Yahoo and Gmail mail, Skype for telephone and IM, wordpress for blogging, Flickr for photos, pixoh for online photo editing, Gspace or box.net for large files storage, Google Maps, bloglines for RSS, Feedburner for landing page, delicious or technorati to save bookmarks, revver for video storage. Pingback: il blog di mytech » Blog Archive » Le migliori applicazioni 2.0?